Cocaine addiction is a disease that affects thousands of people and their families in many adverse ways. Not only does it cause financial distress, an addiction to cocaine can also lead to physical and psychological health consequences that are difficult to beat. Those who are depending on cocaine can suffer a range of debilitating health issues that require long term treatment and care in order to recover. The best way to cope with cocaine addiction is to seek help through a rehabilitation or treatment program that specializes in providing treatment for the physical and psychological aspects associated with the addiction and abuse of cocaine. The National Institute on Drug Abuse (NIDA) provides outlines that regulate how addiction treatment should take place, what methods are proven to be most effective and what the best case scenarios are when it comes to rehabilitation of the psychological and physical ailments associated with a range of substance abuse problems including cocaine addiction. There are a number of alternative treatments and therapies which have also been proven to help those who are addicted to cocaine to overcome this devastating disease in one piece and regain control of their lives, their families and their sanity. Cocaine addiction is extremely serious and, without the proper treatment, can quickly turn deadly. Finding the right care for cocaine abuse disorders can be tricky, though, with the many dangerous side effects the drug can cause. 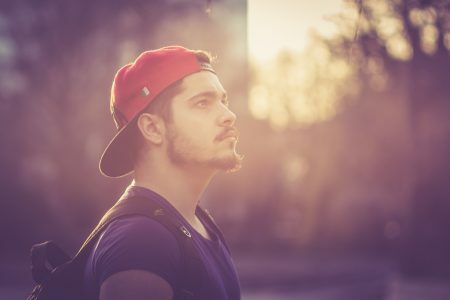 If you or someone you know has been abusing the substance and needs help, call 800-895-1695 now to be matched with rehab centers that can cater to your unique needs. Cocaine can actually cause addiction extremely quickly, so anyone who abuses the drug consistently and in large doses should seek rehab treatment as soon as possible. According to the National Institute on Drug Abuse, “With repeated exposure to cocaine, the brain starts to adapt so that the reward pathway becomes less sensitive to natural reinforcers,” and the individual becomes unable to experience pleasure from anything but the drug. At this point, addiction has strongly set in, and the individual will absolutely need professional treatment in order to put an end to their substance abuse. Still, some individuals can benefit from rehab even if they are not yet completely addicted to the drug. It is never too early to seek help, and especially those who have multiple risk factors associated with addiction (including environmental, biological, and developmental factors) may need to attend treatment after only abusing cocaine for a little while in order to recover safely (NIDA). Anxiety and paranoia are signs of cocaine abuse. A person can also experience a severe overdose syndrome when abusing the drug, leading to seizures, stroke, or cardiac and respiratory failure. Someone who shows the signs of a cocaine overdose needs to be brought to treatment immediately, but anyone who is using the drug on a regular basis should also seek help. Cocaine addiction is treated similarly to other types of substance use disorders with specific emphasis on the stimulant effects of the drug and the ways in which these effects can be altered. In treatment, patients can learn to avoid relapse and receive other treatments that make doing so much easier. Medications: According to the NIDA, “Presently, there are no medications approved by the U.S. Food and Drug Administration to teat cocaine addiction.” However, medications are often still necessary in the treatment of cocaine addiction because they are able to minimize the severity of the withdrawal symptoms experienced by patients. The US Department of Veteran Affairs states that anticraving agents can be necessary during the early stages of withdrawal to treat the severe cravings for cocaine. Antipsychotics or neuroleptics may also be used to treat those who experience a type of temporary, toxic psychosis often caused by the high-level abuse of stimulant drugs. Antidepressants can be necessary for those who experience severe depressive symptoms. While this issue may be caused by one’s cocaine abuse, antidepressants should never be withheld as a treatment when someone is experiencing depression that could result in suicidal thoughts. As stated by the NLM, cocaine has one of the most severe withdrawal symptoms of any drug of abuse, and therefore, treating one for addiction and dependence without medications is largely unsafe and can cause considerable and unnecessary trauma for the patient. Behavioral therapy: Behavioral therapy programs are often the best option for individuals suffering from cocaine addiction. They target the changes that frequent cocaine abuse has made to the individual’s brain by helping them relearn positive attitudes and skills and by creating beneficial changes to the individual’s overall life. The Matrix Model is considered one of the most effective options for cocaine addiction treatment, as it was developed in the 1980s for the treatment of exactly this issue (NIDA Archives). Though it borrows from many different programs, including cognitive-behavioral therapy and relapse prevention, it also stresses that the patient and their counselor have a positive relationship in order to strengthen the patient’s motivation to stay in treatment. Group therapy is used in many rehab programs to help patients work through their issues with cocaine abuse along in the company of other individuals. This can strengthen one’s social support network and allow them to create a stronger, healthier recovery. Though evidence based practices are often the most sought-out options for cocaine addiction, especially when a person chooses professional treatment, there are other methods that can be beneficial for one’s recovery. According to the Substance Abuse and Mental Health Services Administration, Cocaine Anonymous is a 12-step program that emphasizes frequent group attendance and the 12-step process as catered specifically to individuals with cocaine abuse histories. In addition, there are also other support groups, like SMART Recovery, that do not use the 12-step approach but can still help addicts recover. In fact, many rehab centers encourage cocaine addicts to seek out support groups as part of their recovery. Holistic options can also be beneficial to one’s recovery, especially those who have trouble opening up in traditional therapy modalities. For example, art or music therapy can be extremely healing and beneficial to certain populations and it can also allow patients to become more comfortable with the idea of therapy if they are not at the start. Of course, as with any rehab program, the goal of treatment is to provide a safe and secure place where the patient can get the help they need for recovery. The methods that are taken to help patients achieve this success range from counseling and therapy to medical detox and aftercare services. Conquering the physical dependence that an individual has on cocaine is the first step and the primary goal of any cocaine rehab program. This takes place by providing the patient with a detoxification period that keeps them comfortable, safe and far away from cocaine. Education to prevent future use of cocaine. Through education and various therapeutic techniques, the patient is taught how to prevent themselves from being in situations that would normally cause them to use cocaine. Abstinence is key to sobriety and through education and the teaching that no amount of cocaine is a safe amount, the addict is better able to resist using cocaine in the future. Prevention of relapse. There are many methods taken to help prevent relapse. Some involve teaching the addict how to avoid stress or to cope with stress while others focus more on teaching practical lessons that reduce the risk of drug abuse or the risk of abusing other substances that could lead to continued cocaine abuse. Development of personally attainable goals. Cocaine rehab centers and the counselors within these facilities will help the patient to learn how to develop goals that will help them to reach sobriety and to stay clean. The idea is to develop goals that are attainable and which the patient can reach. These goals will be different for each individual and could range from learning how to react to anxiety or depression without the use of drugs to staying away from certain people who cause them to be more likely to abuse drugs. Some people develop goals that pertain to finding some method of excitement rather than to be bored and others revolve around spiritual forgiveness or well-being. Cocaine addiction recovery is possible! Call our helpline to start your journey today! A very common method of rehab is the twelve step method of treatment which includes providing patients with a set of rules or steps that will help them to “find their way” to sobriety. The original steps were outlined by Alcoholics Anonymous but are not widely used in other anonymous programs such as Cocaine Anonymous and Narcotics Anonymous groups which can be found throughout the country as well as around the world. The primary focus of the 12-step program is to provide the addict with the strength to accept that they have a problem, accept that they need help and accept that they must give up control of their addiction and resort to a higher power as the primary focus of healing. This does not mean that all twelve-step programs are based on Christianity and God, the higher power can be any elite that the person believes in and looks to for strength. In fact, many Christian treatment methods do not even use the twelve step program as a model for successful cocaine addiction recovery. Individual counseling – a method in which the counselor works one-on-one with the patient and works with them to develop personal recovery goals. The counselor will also provide a path for the addict to follow and will follow-up with them to ensure that they are reaching their goals. Individual counseling also provides patients with a safe, accepting method of treatment in which the patient can speak openly with a compassionate counselor who will keep the stories that are shared with one another secret. Group Counseling – this method of treatment takes place in group sessions that typically include others in the group who share in the same type of addiction and often have similarities beyond the scope of addiction. The role of group counseling is to provide the patient with a place where they can learn how to speak openly about their addiction and recovery with others. Everyone in the group is respected and all will have an opportunity to share their emotions or support during the course of the group. Family Counseling – the role of family counseling is to provide patients with a place where they can come with their family members or loved ones to get help. Cocaine addiction ruins families and leaves heartache. Family counseling can help to begin to repair the heartache and to rebuild relationships that have been broken as a result of the cocaine addiction. How Do I Choose the Right Cocaine Rehab Program? You can choose either inpatient/residential care or outpatient care for your cocaine addiction, but it is important to consider your needs for recovery and how these should be addressed. Inpatient care is often a better option for those suffering from severe addictions in addition to other issues, and if you are experiencing this problem, it could be necessary to your safe, effective recovery to choose inpatient care. According to the NIDA, binging on cocaine, especially for a long period of time, can lead to severe psychological effects such as hallucinations, hostility, and paranoia. This is a form of toxic psychosis that many cocaine addicts experience, and if a person is suffering from this side effect, inpatient care is often necessary. Those with severe addictions who would not be able to avoid relapse while away from the rehab center sometimes need to consider inpatient care. Especially early on in one’s recovery from an especially severe addiction, this can be the safest choice. However, it is still important to consider all of your needs when choosing a rehab program for cocaine addiction. If you believe that one option may be better for you, remember that your comfort and needs during recovery are extremely most important. Still, those with more severe addictions and side effects often need to seek inpatient care. How Can I Find Cocaine Rehab Centers? Cocaine addiction is serious and usually requires intensive, long-term treatment in a professional rehab center. You can find rehab centers that will cater to your needs and allow you to have the safest, most effective recovery by calling 800-895-1695 now. We will help you find the best options for your current situation as well as rehab centers that will take your insurance, provide you with the treatments you need, etc. We can also answer any other questions you may have about cocaine abuse, addiction, and recovery. 10 Signs You Need Cocaine Addiction Rehab - Cocaine is a powerful, addictive drug that can wreak havoc on a person's mental and physical health, as well as cause death by overdose. Treatment helps people quit safely. 5 Reasons to Choose Outpatient Cocaine Rehab - Inpatient and outpatient rehab both have their place in addiction treatment. In your cocaine recovery, outpatient rehab can help provide the flexibility you need. 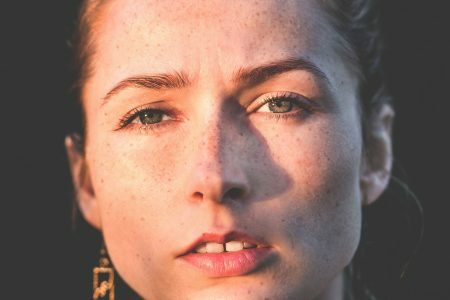 Choosing Cocaine Rehab - Finding a program that has group therapy and peer support is good for you to connect with others dealing with the same struggles. Cocaine Rehab Costs and Paying for Treatment - The costs of cocaine rehab can vary depending on the services that you want and need in recovery. How to Choose a Cocaine Addiction Rehab Program - Overcoming an addiction to cocaine is very difficult alone, and treatment is always recommended. When looking for a program you must consider the programs they offer, the staff, location, costs and more. Inpatient Cocaine Rehab Centers - Inpatient cocaine rehab centers can help you overcome your addiction and get you the right tools to keep you away from any future relapses. Signs Your Loved One Needs Cocaine Addiction Help - If your loved one is struggling with a cocaine problem they are at risk of experiencing health-related, financial, psychological and personal consequences. Seeking help is very important.